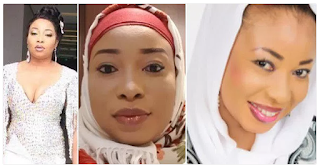 Mercyflawless Blog: Actress Liz Anjorin Reveals Why She Dumped Christianity And Embraced Islam. Actress Liz Anjorin Reveals Why She Dumped Christianity And Embraced Islam. Nollywood actress and business woman Liz Anjorin has finally revealed one of her biggest secrets concerning her faith and belief. The beautiful filmmaker who used to be known as a Christian, suddenly shifted from being a believer to a Moslem about five years ago raising speculations that a man made her change her faith and religion.